Capricorns are good at earning money. Ruled by Saturn, these practical and sensible beings do not believe in luck – Capricorns just know the harder they work, the luckier they get. 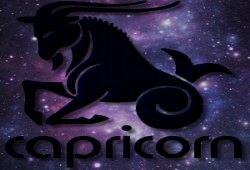 In spite of shying from the spotlight, Capricorns can become quite powerful and respected since they always put the good of the task first. When they have partners and families, Capricorns have an extra motivation to strive and succeed. Ambitious Capricorns will set goals; they regard each achievement as a step nearer to the peak of success. 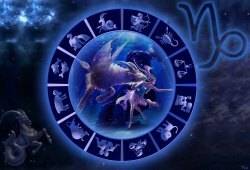 Let’s take a glimpse at Capricorn Horoscope to take a deeper understand of this Zodiac Sign. Capricorn is both Earth sign and Cardinal sign; therefore, those born under this sign have a strong need to achieve goals and respect. The Capricorn born has a strong sense of miSssion that often leads them holding positions of authority. 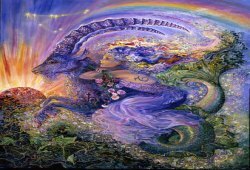 Capricorn people know the value of reputation; they will work cautiously and consistently, without expediently in order to achieve their goal. They pay a great respect to tradition and family values. Even as children, the strong sense of obligation gives them a pearl of wisdom and maturity beyond their years. In Capricorn Horoscope, the Sea Goat enjoys the company of Taurus and Virgo; they will also make good relationships with Scorpio. In the business realm, they create perfect combinations with those born under the Cardinal signs (Aries, Cancer, and Libra). Capricorn bearers have a preference for formal occasions and will carefully review a guest-list to ensure the smooth running of any event. They leave little to chance in the pursuit of excellence and professionalism. They are always ready to offer long-term commitment and takes honor in delivering a well-done job. 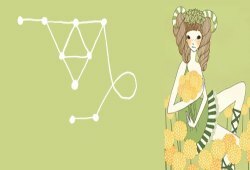 Those born under Capricorn sign are natural builders – in either physical or financial sense – enjoying the great satisfaction from being able to offer their families a secure home. They take promises as seriously as they do business contracts; the Sea Goat may marry late as a result of the intention in choosing the right partner. Those people may find it hard to express feelings in public. For that reason, there may be times when they experience loneliness. Self-reliance is exactly their middle name.